Do you need a new roof? How about a roof repair? 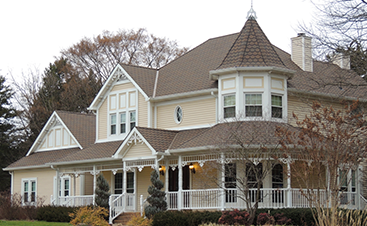 It can be tough to decide which roofing contractor in Richmond to use with so many options available. How can you trust online reviews when you don’t use any of the sites regularly to know if they’re legitimate or not? 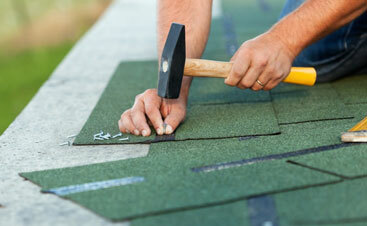 At Houser Roofing, we understand finding a roofer can be a tough task. However, we want to share with you three simple questions you can ask any roofing company in your area to determine if they’re worth considering for your roof project. Are you ready to talk to a reputable roofing contractor? Give Houser Roofing a call today. We’ve been serving Richmond and the surrounding area for more than 25 years. 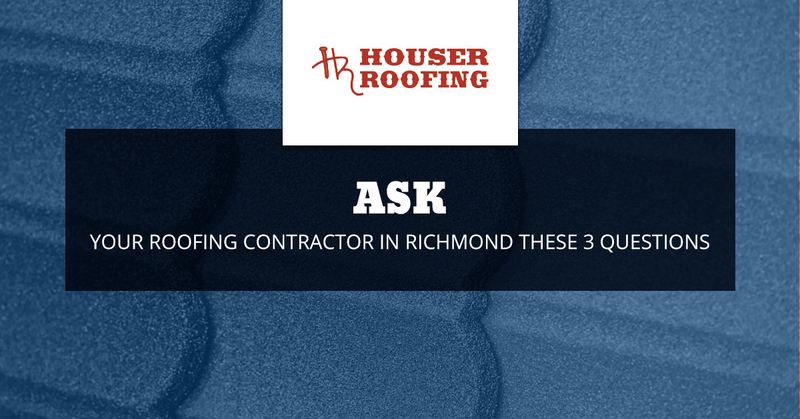 Otherwise, use the questions in this post to find the best roofer for your project! Our legal company name is Houser Roofing, LLC. They’re “doing business as” another company name. The roofer is a sole proprietor and will tell you they work for themself, which means their personal name is being used as the business name. If the roofer on the phone hesitates to answer the question or avoids answering it altogether, you may want to consider getting on the phone with a different roofing contractor. Will you share your contractor’s license number and level of insurance coverage with me? Only 21 states require builders to have a contractor’s license if they claim a speciality in their given trade. However, specific cities in Texas do require licensing within their municipality, so it’s best to check with the city you’re in to see if roofers are required to be licensed to install or repair roofs. 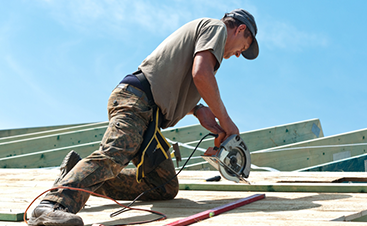 Texas does require general liability insurance for roofers to work in the state. Asking for the level of coverage a given roofer has will simply let you know that they’re following regulations. In most cases, you can trust a roofer that has a business name, is covered with insurance, and discusses the regulations around their contracting license openly. Who will be installing or repairing my roof? It’s good to ask this question to ensure the roofer you’re talking to will either be completing the project themself or will be using an insured crew to complete the job. In some cases, roofing companies will contract the roofing work out to crews. You want to know if the crew being used is reputable and trustworthy to get the job done right the first time. We’ve been serving the South Texas and Gulf Coast Regions for 25-plus years with comprehensive roofing services. We help residents and businesses in Richmond, Wharton, Greatwood, and the surrounding Texas areas find the best roofers for their installation and repairs. If you’re ready to discuss your roof, give us a call today!